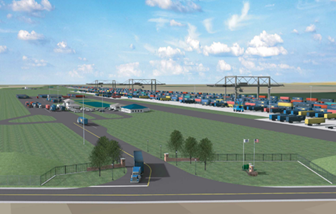 The State Department of Transportation announced Thursday that a new intermodal transportation facility is coming to Edgecombe County. The project could create more than 1,300 jobs in the region. 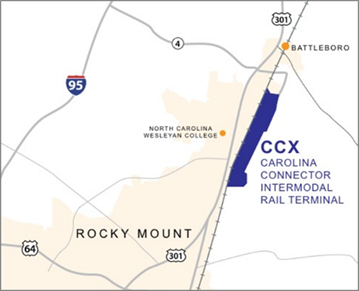 NCDOT reached an agreement with CSX Corporation regarding the building and operation of the Carolina Connecter facility, near Rocky Mount. The new 330-acre site will allow trucks to bring cargo containers to a rail yard where they will be transferred to trains for transport. NCDOT will invest $118 million for site development and road construction. The facility will be built on the CSX mainline and CSX will run it. Deputy Secretary of Communications at NCDOT Greer Beaty said the intermodal facility will add a logistical option for existing and prospective industry across the region. The company had previously intended to build an intermodal facility in Edgecombe County but put those plans on hold in 2017 to reassess their long term business model. Once the contract is executed, site development work will begin with completion slated for 2020.